45 minute classes meet once a week for 12 weeks, except for Monday and Rhythm Kid Classes which will meet for 10 to 11 weeks. *Any number of adults may attend with a registered child at no additional charge. 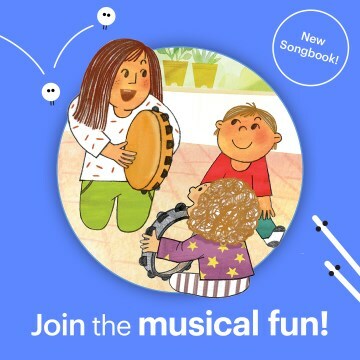 * Enrolled families may order an extra CD via a form on the Family Music Zone, by emailing storeorders@musictogether.com, or by calling Alice at (800) 728-2692 x345. Parents will pay $2.95 US/$4.95 International for shipping and handling. Tuition refunds will not be given after the first day of class. Tuition refunds granted prior to the first day of class will be charged a $20 processing fee..
Payment plan available upon checkout. Approximately 1/3 down and 1/3 on the first day of the following two months. The Lab fee is a non-refundable, per-family (not per child) Licensing Fee required by our parent company, Music Together Worldwide®. · Two equal payments of $81.50 due on the first day of the following two months. · Fees will be adjusted as appropriate. · Sibling discounts do apply. · Available only when registering online. · This option is viewable upon the final step of online registration. * There is a one-time non-refundable $20 registration fee for all new families.